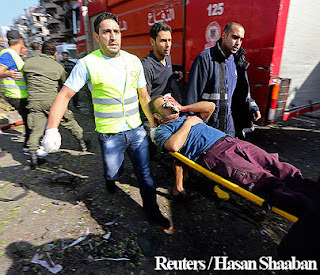 Two blasts near the Iranian embassy in Beirut killed at least 23 people, injuring 146 and causing havoc and a massive fire in the Lebanese capital. Six buildings were reportedly destroyed in the embassy compound. According to a local news source, Almanar News, the harrowing scene was caused by 100kg of TNT loaded into a Renault Rapid. Security sources on the ground said there were two blasts - the first caused by a person on a motorbike, while the second was by a suicide bomber who tried to ram the compound with the car. Witnesses at the scene reported that they occurred within one or two minutes of each other. 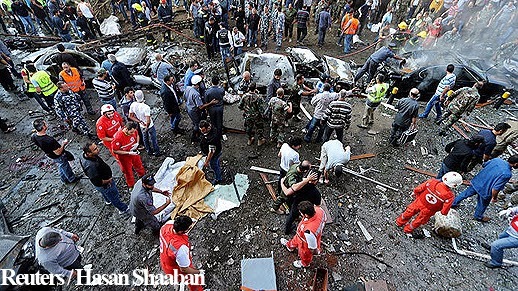 Injured people and destroyed buildings were seen on very disturbing pictures circulated by Lebanese media in the immediate aftermath. Witnesses speaking to Al Arabiya reported seeing smoke rising from the battered embassy compound, while footage from the bloody scene showed raging fires, with the death toll rising by the minute. 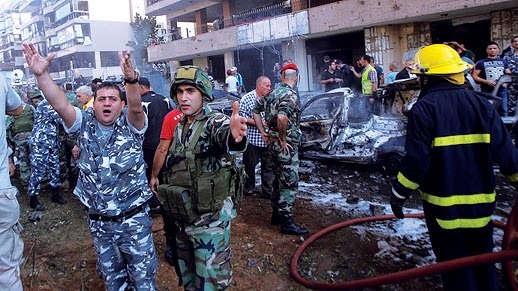 It is not clear who was behind the attack at this time, but the area where the blasts occurred is significant in two ways: it is considered to be a stronghold for the Lebanese Shiite faction, Hezbollah. And secondly, it is a popular area and a home to many families of Iranian diplomats working in Lebanon. The Iranian ambassador to Lebanon reacted promptly to the situation, placing blame on a "Zionist entity," while adding that such attacks only "keep us strong and proves the righteousness of our stances." 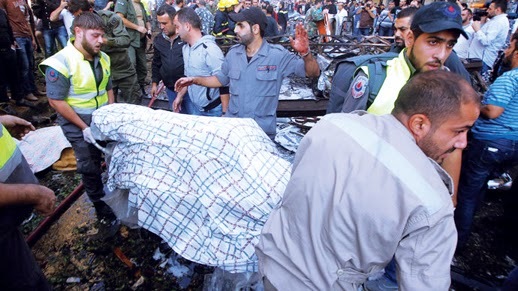 Minutes before it was reported that the Iranian cultural adviser for Lebanon was injured in the blast, but shortly thereafter succumbed to his injuries. Lebanon and Iran enjoy close relations, both having a large Shiite population. This is not the first attack that has occurred in the area. Hezbollah compounds have come under frequent fire before, especially as Sunni-on-Shia tensions have begun to mirror each other across the Middle East. The political connection – if any – has not been established yet. However, while an ally of Iran, Hezbollah is also a strong supporter of neighboring Syria’s President Bashar Assad, who is currently fighting his own terrorist threat. 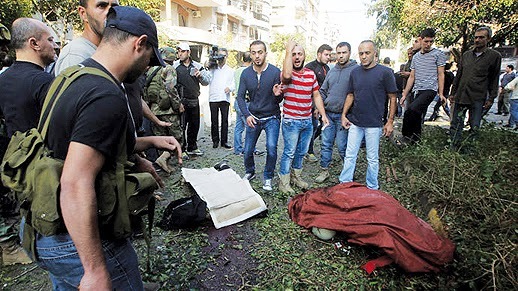 Political bombings in Lebanon are a frequent occurrence. One of the more severe recent ones took place in late August, when 42 people lost their lives, while literally hundreds were injured in twin explosions in the city of Tripoli. Similarly, a blast near Hezbollah’s headquarters just days before, on August 15, killed 27 people, injuring 150. In June, the same location was targeted, when a car bomb blast injured 53 people. This site contains copyrighted material the use of which has not always been specifically authorized by the copyright owner. We are making such material available in our efforts to advance understanding of environmental, political, human rights, economic, democracy, scientific, and social justice issues, etc. We believe this constitutes a 'fair use' of any such copyrighted material as provided for in section 107 of the US Copyright Law. In accordance with Title 17 U.S.C. Section 107, the material on this site is distributed without profit to those who have expressed a prior interest in receiving the included information for research and educational purposes. Technical experts are mounting major challenges to official U.S. government accounts of how three World Trade Center skyscrapers collapsed in near-freefall after the 9/11 attacks 15 years ago. STRATFOR Editor’s Note: This installment on the United States, presented in two parts, is the 16th in a series of STRATFOR monographs on the geopolitics of countries influential in world affairs. Like nearly all of the peoples of North and South America, most Americans are not originally from the territory that became the United States. We have already discussed in the first part of this analysis how the American geography dooms whoever controls the territory to being a global power, but there are a number of other outcomes that shape what that power will be like. The first and most critical is the impact of that geography on the American mindset. The 5th Estate has just purchased a library on H5N1 "Novel" virus pandemics, there are dozens of PDF and Exel documents we feel will assist you in saving lives following intentional releases of the H5N1 and now MERS viruses; we will begin by printing those that appear to be extremely relevant here: H5N1 Kobe-Kawaoka-Ernala series continues soon with more "Smoking Gun" e-mails from Teridah Ernala to The 5th Estate . . .
On October 12, 2002 the Indonesian island of Bali experienced a terrorist attack that rocked the world. It was unquestionably well-coordinated and executed, the largest in the country's history.